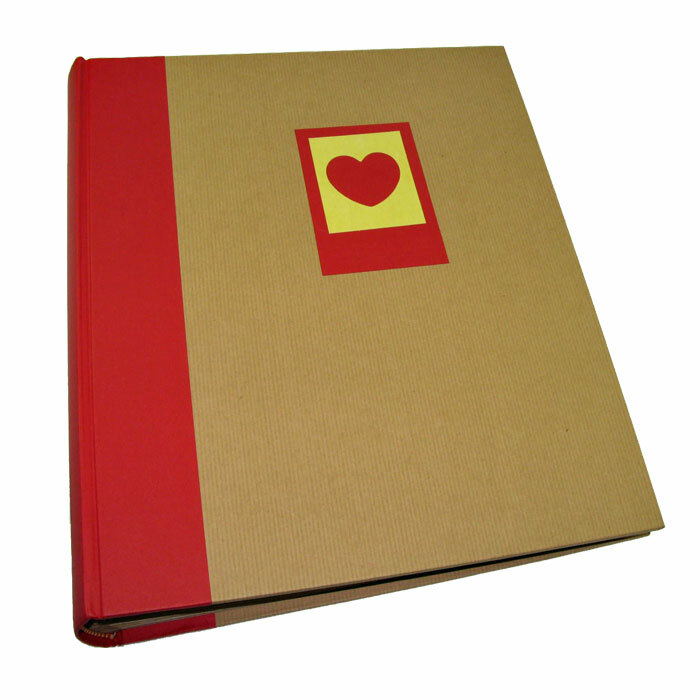 The Green Earth Red Heart Traditional photo album measures approximately 13 by 12 inches and takes upto 500 6 x 4 inch photographs, but also 10x8, A4 or even 12x8 inch photographs. 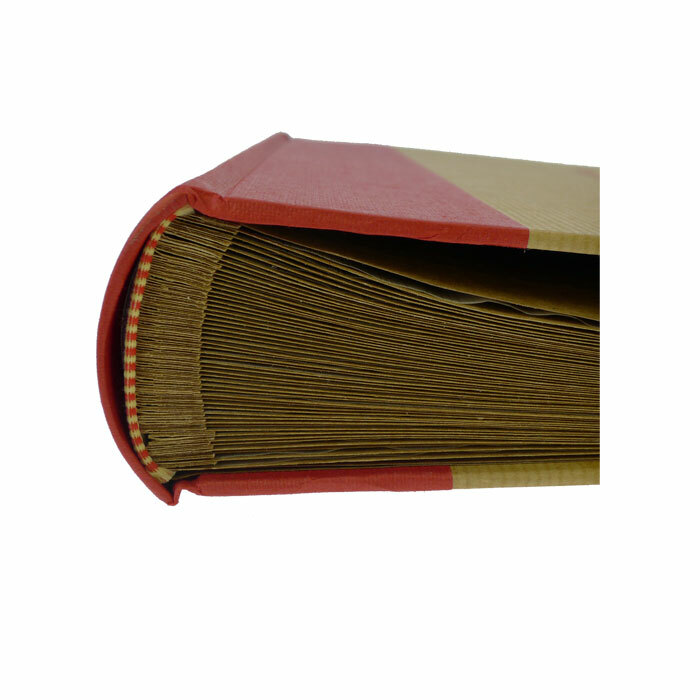 The Green Earth range is a best seller and has a real 'eco' feel to it with a brown, self stripe, hard backed cover. The red heart album has a red spine and an attractive red heart motif on the front cover. 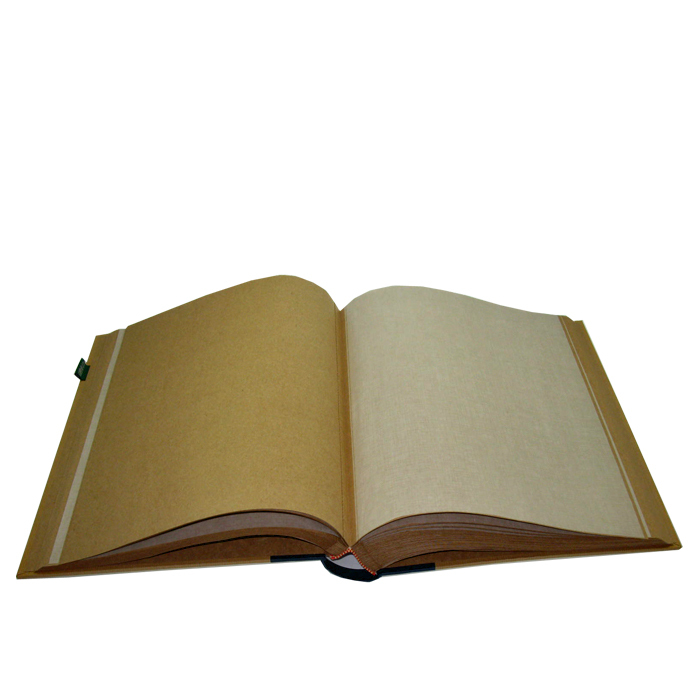 The pages are brown and book-bound and there are glassine interleaves between each page to protect the photos. The photographs can be stuck into the album using corners, or double sided tape and the album is ideal for scrapbooking.